The Great Wall of China is quite honestly a beast. But it’s the one beast people have at the top of their bucket list when they visit the country. Hell, i’ve even heard of people skipping Beijing, heading straight to the wall and flying back out again (i’m not recommending that). There are so many options for visiting the wall, whether its staying in a nice hotel, camping on the actual wall or just heading there for the day and tobogganing back down again (personal favourite). I’ve compiled a short list of the best ways to visit the wall. 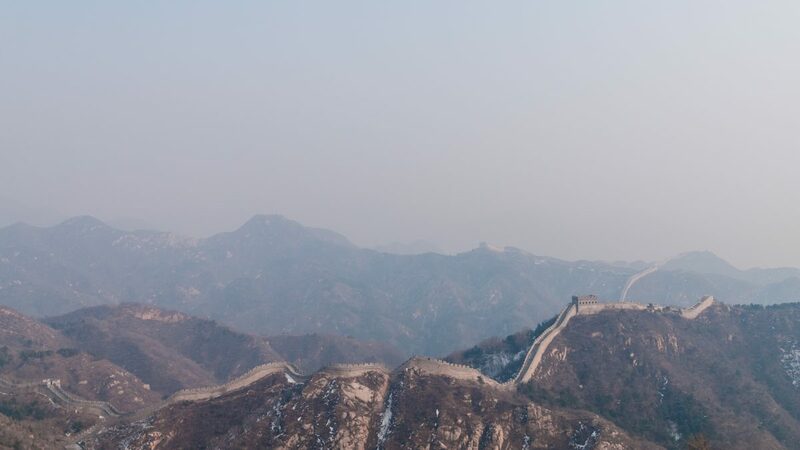 Badaling is probably the busiest section of the wall as it is closest to Beijing, however if you just want to spend a couple of hours for the experience and the snapshots, then this is a good idea. You can actually take public transport making it perfect for those on a budget. You can get there by taking bus 877 from Deshengmen. It should be easy to find as it’s a tourist bus. I’ve done this tour twice, i’ve loved it that much. Leo Hostel in the Qianmen district of Beijing offers a secret tour of the wall close by to Badaling but away from the tourists. On my second tour, we ended up having both the tour and the wall to ourselves. Most of the wall is also not reconstructed giving it that ancient feel. Take a look at this bad boy: Commune by the Great Wall. If you’re looking for something a little bit extra special then this is the one. With its posh beds and glass windows within the mountains, its one of the perfect ways to relax after a day of hiking. And there’s even a swimming pool for the hot summer months. While I admit I haven’t been there myself, I kind of really wish I have. Yes you really can pitch up a tent on the Great Wall! Beijing Hikers offer some great tours over the weekends and I just love the idea of escaping the city and getting a glimpse of stars! Actual stars! If you don’t want to go as part of a tour, I know some friends who have taken some sleeping bags when the weather was REALLY good and managed to camp out in one of the watchtowers. Yep. I wish. But there is a helicopter company that offers 30 minute tours over the Great Wall and I can only imagine (because I am poor) what the views must be like. I can imagine doing this for a really special occasion but it’s not top of the list mainly because of cost! Now, I think i’ve covered all bases. When choosing how to visit the Great Wall, it can be difficult to decide but I hope i’ve helped with the selection process! Have you been to the Great Wall? Is there a way to see it that I missed? To find out more about living in China, look here. "Hong Kong Airlines and being pepper sprayed"